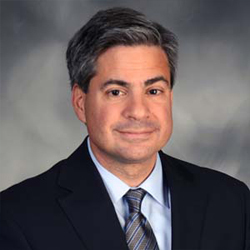 As the Chief Executive Officer of HVH Patient Precision Analytics, Steve Costalas leads the joint venture partnership between Havas Health, a strategic communications parter to many top biopharma companies, and Vencore, a leader in next-gen machine learning and advanced predictive analytics. Prior to this role Steve served as the Senior Vice President, General Counsel and Secretary, Vencore, Inc. His responsibilities included oversight of the company’s legal and ethics and contracts, pricing, procurement and property management (CP3) functions to ensure Vencore remains an ethical business leader. Vencore has more than 40 years of proven experience providing information solutions, engineering and analysis to the U.S. intelligence community, Department of Defense and civilian agencies. Prior to joining Vencore, Costalas was Counsel at Dechert LLP, an international law firm, where he led teams structuring corporate acquisitions and dispositions, equity investments, complex collaborations and other arrangements. He also represented boards of directors on public company disclosure issues and fiduciary duty matters. Previously, he served as general counsel and head of corporate development of Pharmacopeia, Inc., a public biopharmaceutical company.